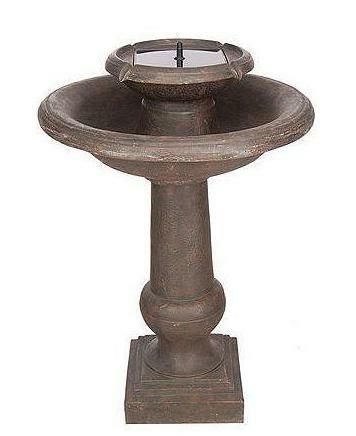 Invite tranquility to your garden, patio or landscape with this Oiled Bronze Finish Chatsworth 2-tier solar-on demand water fountain. You will enjoy the sound of water as it cycles from a hidden reservoir to the upper tier, then gently cascades down into the main basin entirely by the power of the sun--no wires to hook up, or no electricity. 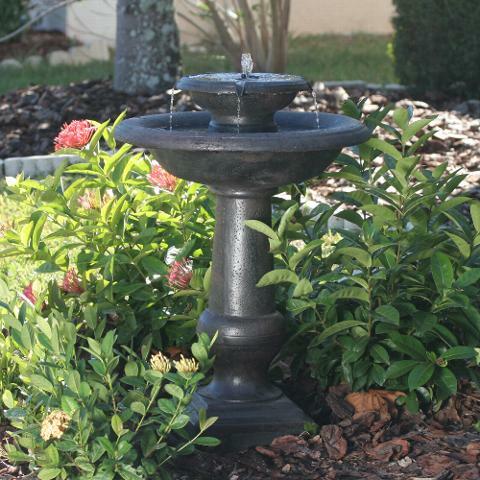 Unlike most solar fountains that only work when the sun is out, you can enjoy this solar Birdbath Fountain at your leisure. The solar-on-demand allows you to choose when you want your fountain on by using the easy on/off switch on the solar panel. You can operate it daily using the battery technology for consistent performance even in cloudy conditions, or leave your fountain off, charging the batteries for use when you want it, even at night. Battery capacity of 6 hours. Battery recharges during the day with sunlight. No wiring is required, simply install and enjoy. Operate daily and use our battery technology to provide consistent performances even cloudy weather, or Turn off to charge during the day for night time use. Battery will fully charge in 1 sunny day. 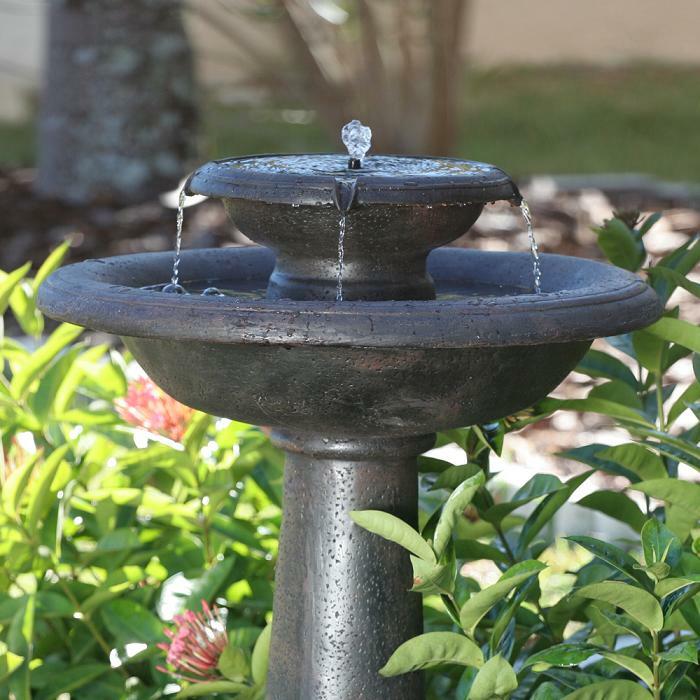 Solar-on-demand allows you to choose when you wish your fountain to work using an easy on/off switch on the solar panel.